The 2019 RAM 1500 and the 2018 Chevrolet Silverado 1500 are two trucks that are plenty capable and ready to help you get your work accomplished. Both offer impressive features and are capable of towing heavy hauls with ease, but the extra features and reliability of the 1500 make the RAM model the better pick for most situations. We've taken the plunge and analyzed the 2019 RAM 1500 vs. the 2018 Chevrolet Silverado 1500, so you can concentrate on finding the right vehicle for your situation. Come down to our dealership in Albuquerque New Mexico to find out more about these impressive trucks. 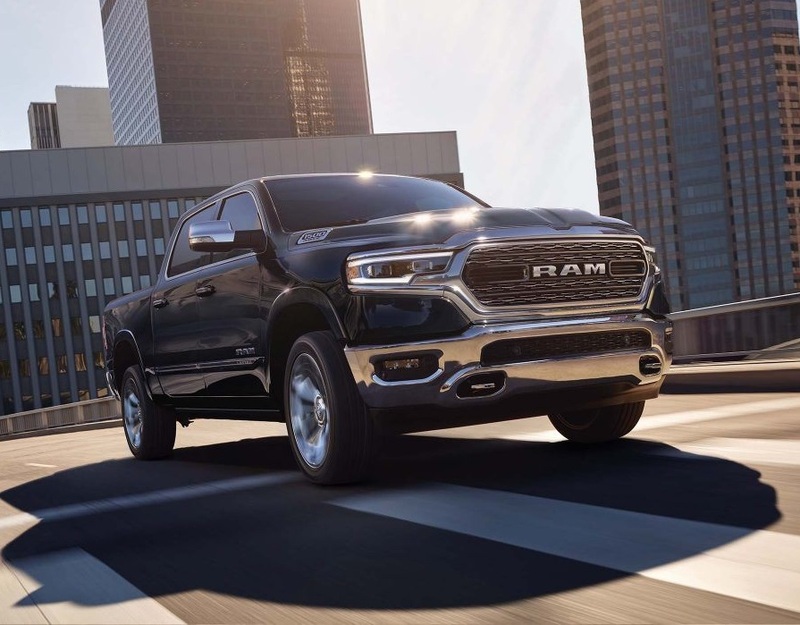 When it comes to pure reliability, you're going to find that the 2019 RAM 1500 offers better warranty options than the 2018 Chevrolet Silverado 1500. The main selling point here is that the RAM 1500's warranty offers unlimited miles. Compare this to the Silverado 1500's warranty that caps out at 100,000 miles. The Chevy only comes with a standard alternator that cranks out 150 amps, while its competitor is capable of providing 160 amps. Even if you decide to upgrade to the optional alternator on either truck, you're still only getting 170 amps on the Silverado compared to the 180 amps on the Ram's. Additionally, the RAM 1500 has a second optional alternator with 220 amps. This is something you just won't find on the Silverado. When it comes time to reliably recharging your car better and power the ignition, you want a reliable battery with the larger alternator. Come down to our Albuquerque RAM dealership to compare the Ram's offering vs. the Chevy's offerings. Both vehicles have powerful engines, but the Ram's has a more powerful engine on all accounts. While they both have the option of a V8 engine, the Silverado tops out at 285 horsepower on the V6 engine and 355 horsepower when it comes to the V8 engine. Compare that to the more higher powered Ram's that come with 305 horsepower on the V6 and 395 horsepower on the V8 engine. Even more impressive is that the Ram's engine on the V6 is a hybrid engine, which means you'll also get a highly fuel-efficient vehicle that can tackle the toughest jobs. Find out more about the engine options at our dealership in Albuquerque New Mexico and get to know our offerings at Melloy Ram. Melloy Ram in Albuquerque New Mexico wants to help you take home a great truck that you can be proud to own. At our Albuquerque RAM dealership, you can compare the RAMs we have on stock with the equivalent Chevrolet 1500 models. We think you're going to find that all around, the RAMs continually beat out the Chevrolet offerings. When it comes to handling, you want a truck that provides excellent traction, suspension and handling. The RAMs offerings come with larger tires than the Silverado. This is going to give you better traction and a more stable towing experience. Smaller wheels are also standard on the Silverado, which are a full one-inch smaller than its competitor. You'll only get 17-inch wheels if you go with the Chevrolet model. Compare that to the 18-inch standard wheels on the RAMs. The suspension on the Chevy uses leaf springs in comparison to the more supple coil springs on the RAMs offering. You'll also get load leveling suspension and a drift compensation steering feature when you opt for one of the RAMs 1500s. There is more space to move around in the cab of the RAMs offerings. You'll get about 2.7 inches of more hip room, .1 inches more on the shoulders and .5 inches more headroom. There is also a larger RamBox, which makes it easier to carry your cargo along with you. The Quad Cab on the RAMs offerings gives you 76.3 inches in length, a maximum width of 66.4 inches and a height of 51 inches. The Crew Cab Pickup offers very similar dimensions. 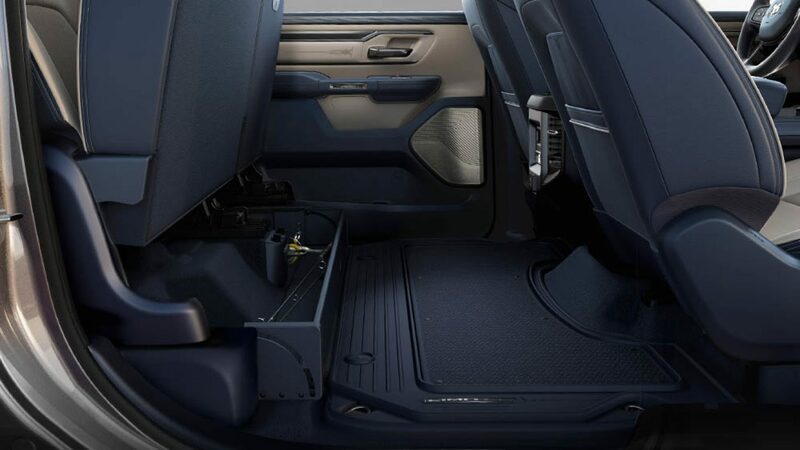 Compare this to the offerings of the Silverado, and you'll find you're getting a little less overall space since the width tops out at 64.9 inches. Moreover, many convenience features come standard on both vehicles, but with the Silverado, you're going to be paying extra for these options. Both trucks are solid performers, but with one of the RAMs on our lot, you're getting better value and reliability. 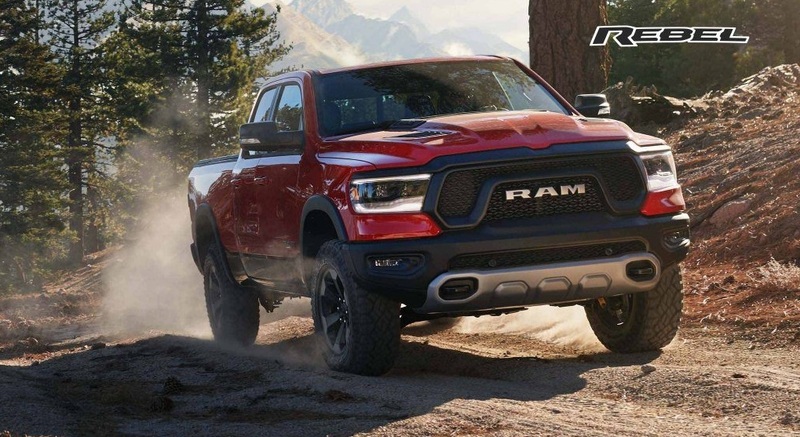 The technology for the 2019 model years is unsurpassed, and we think you'll find the handling and features of the RAMs 1500 models are just outstanding. Give us a call so that we can work out a financing package for you. We want you to be happy with your purchase, and we will do what we can to help you take home a new truck today. If you have any questions at all, just get in touch with us. We are more than happy to help guide you in the right direction for your needs.